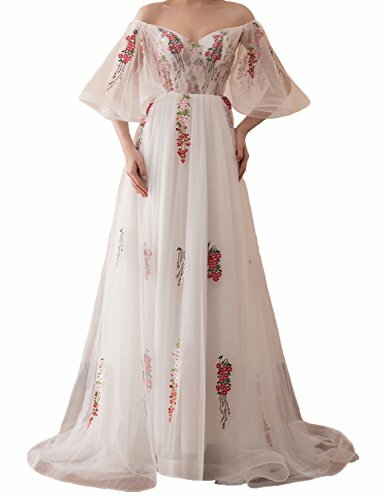 BessWedding started to do clothing in 20th centery in China, insistence on quality. And has for many years for the family enterprise business model. Starting from a small Tailor shop in the development, to launch wedding in 1999. We select carefully high quality material for every dress to provide a comfortable feeling when wear it. The tailors and skilled worker make every exquisite and fitted prom dresses. 1. If you have any question about the prom dresses(such as size, color), please contact us freely, we are always at your service. 2.The real color of the dress may be slightly different from the pictures shown on website caused by many factors such as brightness of your monitor or light brightness. 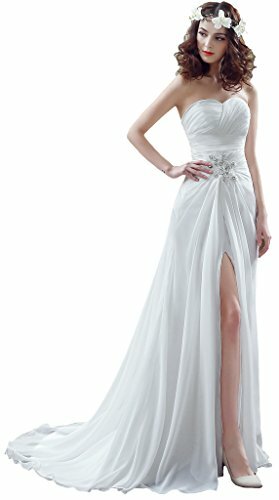 Click our the name of our Brand, BessWedding, above the title to see more beautiful dresses. We are, BessWedding, the consultant of your prom dresses. We will be willing to do business with you and do our best to provide happy shopping experience for you. 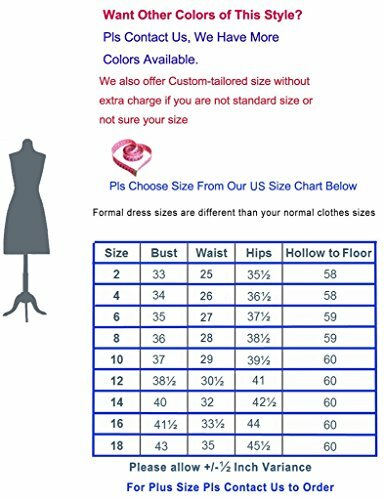 Size 2: Bust=32.5"; Waist=25.5"; Hips=35.75",Hollow to Floor with Shoes 58"
Size 4: Bust=33.5"; Waist=26.5"; Hips=36.75", Hollow to Floor with Shoes 58"
Size 6: Bust=34.5"; Waist=27.5"; Hips=37.75", Hollow to Floor with Shoes 59"
Size 8: Bust=35.5"; Waist=28.5"; Hips=38.75", Hollow to Floor with Shoes 59"
Size12: Bust=38.0"; Waist=31.0"; Hips=41.25", Hollow to Floor with Shoes 60"
Size14: Bust=39.5"; Waist=32.5"; Hips=42.75", Hollow to Floor with Shoes 61"
Size16: Bust=41.0"; Waist=34.0"; Hips=44.25", Hollow to Floor with Shoes 61"